Cover Illustration: The back of a carte de visite as used by Thomas Wells of Alton. The first surviving photograph dates from the 1820s and this was followed by the daguerreotype process which gave metal-based pictures. A paper-based process was invented by William Henry Fox Talbot about ten years later. In 1851, Frederick Scott Archer introduced the wet collodion process which was cheaper and easier than the previous methods of producing a picture. The new invention was taken to the Crimean War by Roger Fenton where he used a specially-constructed wagon with a portable darkroom. 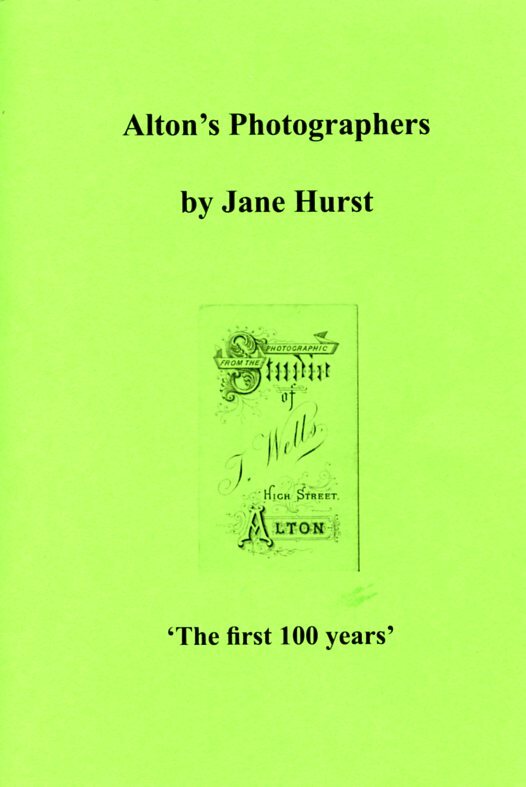 The Alton Mechanics' Institute was formed in 1837 and, in June 1854, they opened an Exhibition of Works of Art and Industry in Alton Town Hall. Among the many items on display were 'a number of beautiful French photographs, representing subjects of natural history, exhibited by Thos. Bell, Esq. of Selborne'. Were these the first such pictures to be seen in Alton? The earliest known dated photographs taken in Alton are from 1857 and of the Crowley family.